Boasting nail-biting sprint finishes (we’re still blown away by that incredible Vos Vs Rivera Daventry dash in Stage 2); tactical mastery (Jolien D'hoore timing her sprint to perfection in Stage 1) and all things Dani Rowe (technical excellence, emotional crashes and really emotional bouncebacks), the OVO Women’s Tour of Britain was a renowned success, with the crowds coming out in force and the highlights on ITV4 doing a fantastic job of perpetuating all the excitement and action. Beyond the bike riding, there was a fantastic procession of kits across the peloton, with the CANYON/SRAM team (pictured), in particular, getting a lot of attention for their special-edition Rapha kit. Instead of their usual team colours, for the five days of the OVO Women’s Tour, the team were rocking an exclusive new design to encourage women to participate in the global Rapha Women’s 100 event on 15th September. For anyone not familiar with the Women’s 100, this is where women across the globe come together to ride 100km on the same day. 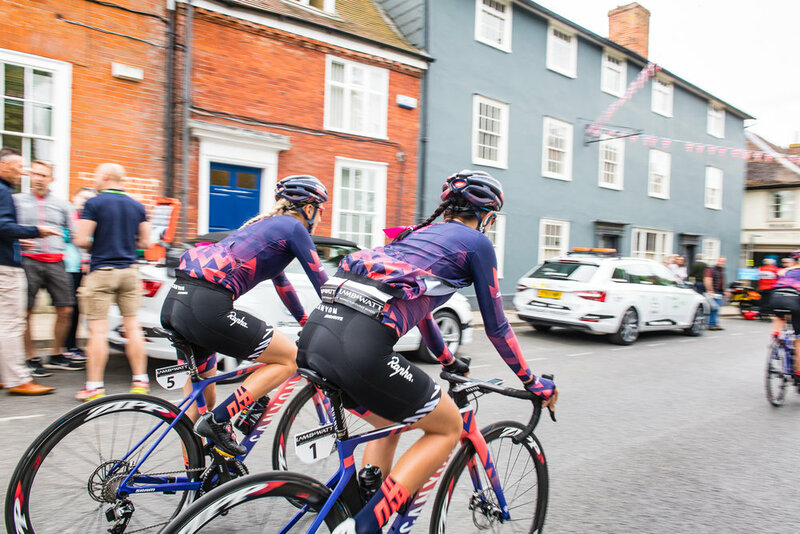 With an amazing 10,000 women taking part last year, Rapha are keen to build upon this number, so they've used the Women’s Tour as a platform to spread the word about the celebration. Rapha say that their mission with this ride is to “celebrate the collective spirit among riders across the globe.” But for everyone at Team Casquette, it is also a chance for women riders to show solidarity and prove that women’s cycling is stronger, more passionate and more community-driven than ever before. Come on ladies!